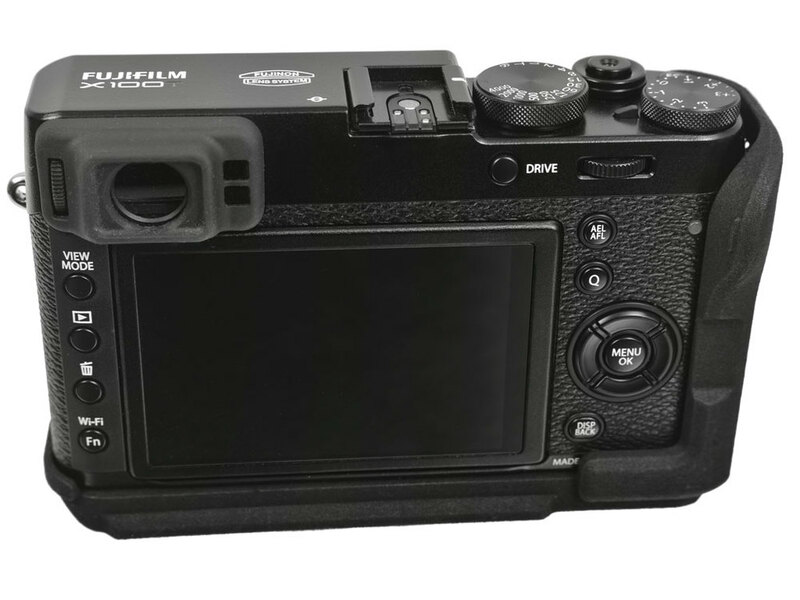 Multi-Grip by Metro Case greatly improves the handling of today's digital cameras while adding minimal weight. Superior ergonomics. Many modern digital cameras are so small, they are difficult to comfortably grip and operate, especially with bigger lenses. Pocketability is often a higher design priority than ergonomics; some cameras are so diminutive it's easy to accidentally change camera settings at just the wrong moment. 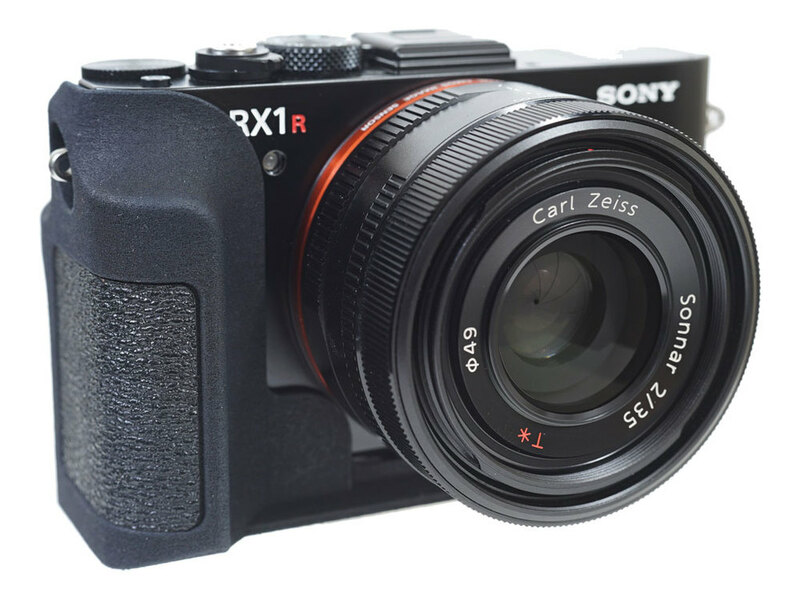 Camera manufacturers sometimes provide grippy areas, but nothing substantial enough to make a real difference. Multi-Grip provides a relaxed, confident, comfortable grip, eliminating inadvertent button presses. Multi-Grip is warm to the touch in cold weather. In hot, humid conditions, it won't slip from a sweaty hand, unlike aluminum. 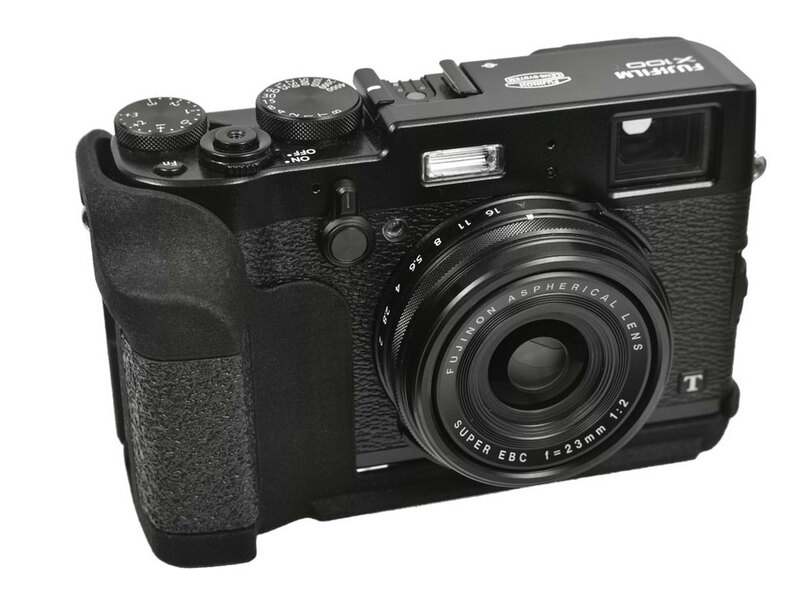 It excels in extreme conditions with weather resistant cameras such as the Fuji X-T1. Quick Release. 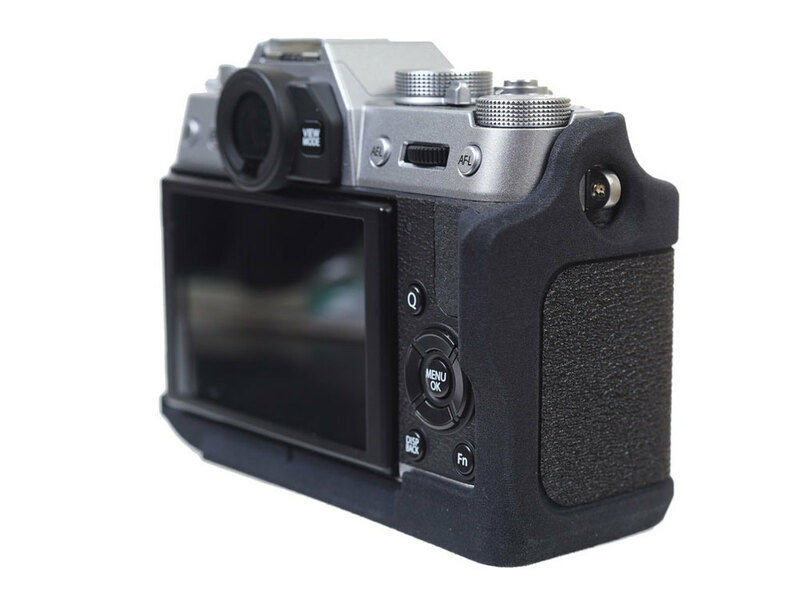 The third major feature of Multi-Grip is the baseplate, which offers an Arca-Swiss compatible quick release. 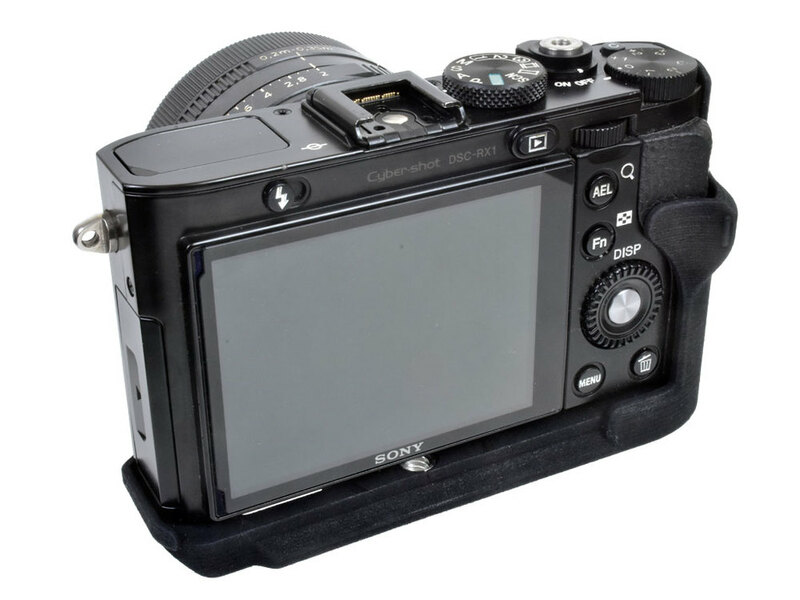 The baseplate protects the bottom of the camera from scratches, while still allowing easy access to the battery compartment and SD card on most models. The baseplate has a secondary tripod socket; some models have an optical axis indicator for use with pano heads. A quick release can be invaluable when shooting video using stabilizers and track sliders. Lightweight. Very. Multi-Grip is extremely lightweight, but very strong, manufactured from Nylon 12, the same material used in products such as ski boots. The end result is a product that is so light, the extra weight isn't noticeable. Multi-Grip can be as little as 1/3 of the weight of other products that offer fewer features. 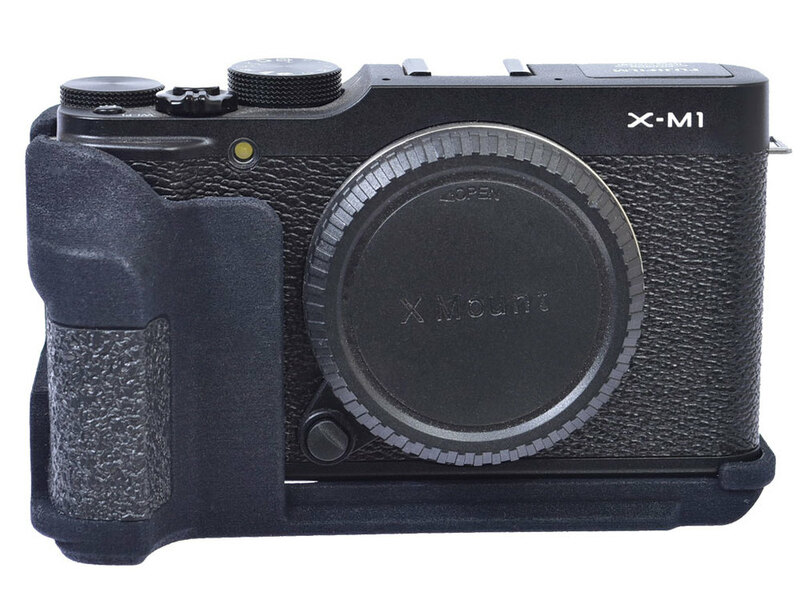 Multi-Grip for X100T weighs only 37 grams; some thumb rests weigh nearly as much at 30 grams -- that's just the thumb rest -- no grip or quick release! When you're carrying gear all day, every gram counts. Your camera never felt better. Always working on new models, Metro Case has your camera covered. This is one of the best designed grips you will ever find. 1. Weight. ~50g as opposed to >150 g (metal). 2. Fit and feel: fantastic! 3. No more accidental videos!